As Bob Vinci, MD, chairman of the Department of Pediatrics at Boston Medical Center, once said: “When we don’t have a service, we build it, so the next group of patients can access it.” This was never more true than when two pediatric residents, Lucy Marcil, MD, MPH, and Michael Hole, MD, MBA, came together to address the financial burden a significant portion of BMC patients face from living with annual incomes below the federal poverty level, often struggling to make ends meet. The result of their efforts was the creation of StreetCred—an innovative BMC program offering free tax services to families receiving pediatric care at BMC. The service targets low-income, working families raising children in America, who are eligible to receive the Earned Income Tax Credit (EITC) and Child Tax Credit. Marcil and Hole saw a need for assisting these families, who were getting lost in a complicated system and, as a result, not receiving the tax benefits they were entitled. By helping these families receive appropriate tax credits and their full tax refunds, the pediatrics team is improving the overall well-being of the family’s health through poverty reduction. Decreasing the prevalence of poverty—a condition affecting more than 20% of American children—is a challenging obstacle. One effective poverty-alleviation tool is the EITC, a federal tax credit for the working poor. Receipt of the EITC has been associated with improved infant and maternal health. Unfortunately, almost a quarter of those eligible for this refund do not receive it. Therefore, StreetCred’s providers have made it their mission to address this gap, and help families receive vital financial assistance—necessary aid that can determine whether a family of five affords their one-bedroom apartment or not. In its pilot year, with the help of BMC staff and volunteers who serve as tax experts, StreetCred filed tax returns for 186 families, which resulted in a total return of $401,275 of which $96,209 was from the EITC. By leveraging this critical tax credit, families and their children have more financial stability, higher participation in their pediatric care and lower toxic stress. 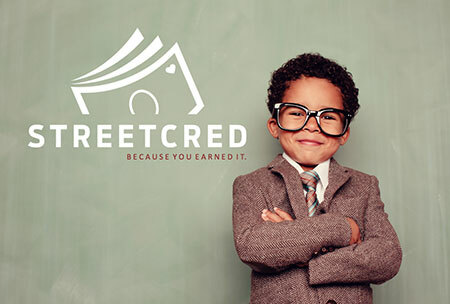 StreetCred is an innovative program established at Boston Medical Center which offers free tax services to families receiving pediatric care at BMC, who are eligible to receive the Earned Income Tax Credit (EITC) and Child Tax Credit.